North of Airport Option: 6.6 miles ONE-WAY from SFO to Sierra Point. South of Airport Option: 9 miles ONE-WAY from SFO to San Mateo Bridge. Start: Bayfront Park, just east of 101 at Old Bayshore Highway. If you get stuck at one of the San Francisco Airport (SFO) hotels, or are delayed for a flight, don’t despair — there’s great running along the Bay. 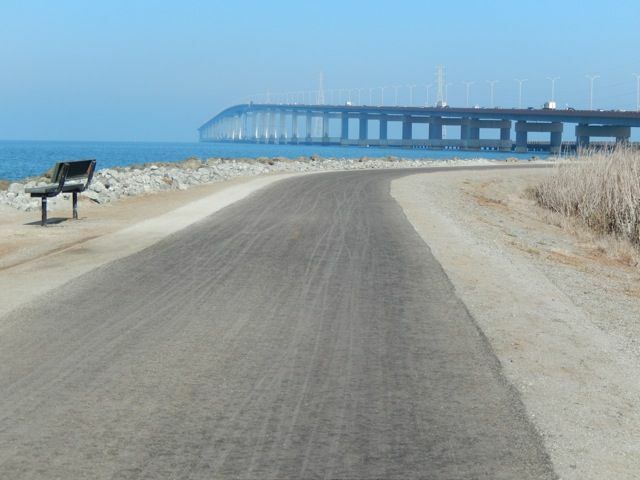 These are probably some of the most spectacular running paths near an airport in the world. If you don’t have a car, try to stay at a hotel near the Bay Trail. If your flight gets delayed or you have some extra time before a flight, park at Bayfront Park and park there and enjoy a lovely run or walk along the San Francisco Bay Trail. The San Francisco Bay Trail follows the East Bay, fairly seamlessly from Brisbane north of SFO, south to San Mateo and beyond (though not 100% seamlessly). We have mapped out two options near the airport (SFO). North of the airport, 6.6 miles one-way heading north from San Bruno around Oyster Point to Sierra Point. Fantastic bay views the whole way, with planes coming and going overhead. South of the airport, the route is a fantastic 9 mile one-way trail to the San Mateo Bridge, and includes jaunts out to Coyote Point and Seal Point. The trail starts at Bayfront Park, just south of the airport but of course you can jump on at any spot. There are great some great interior trails at Coyote Point, that include some hills and beautiful trees and redwoods. Bayfront Park is a good place to start — there is a free parking lot there and a cluster of hotels.